Learning from Sherlock Holmes . . .
One of the interesting things about being in medicine is that friends and family consult you with all kinds of medical questions at any time. The questions span speciality (I was asked about a brain tumor, cramping and a bad cough in the same week!) Honestly, I enjoy it: it’s like an unplanned case of the day, and it’s a chance to be helpful. In many cases, I can simply put someone at ease. The movie “Dead Poet’s Socity” spoke about two kinds of professions, the “life sustaining” ones like medicine and engineering and the “life enriching” ones like literature, music and the fine arts. My reward in Acting was to (ideally) give my audiences a meaningful emotional experience by the end of the play through the life of my character, that is enrichment. In medicine, my reward is to use medical knowledge and skills to help patients feel better, sustainment. So, I appreciate the inquiring phone calls and texts and I would like to take you back to one in particular . . .
Paying attention matters not only in diagnosis but treatment. While on a neurosurgery service last year, I encountered a patient who required an operation to remove a brain tumor. Due to the tumor size and location, the patient had a devastating choice, to either lose the ability to read or to hear on that side, depending on which surgical approach was taken. Losing hearing or reading is more than a medical choice, it is a human one. One must ask the difficult question of which option would reduce one’s sense of self more profoundly. This question is approached by a patient who pays real attention to who she is, as well as family members and yes, doctors, who have done the same. No matter our profession, we will learn the same algorithms: law students learn the law, pharmacy students learn the drug mechanisms, but effective decision making in the grey areas seems to reward those who pay close attention to the nuances that no curriculum can adequately capture. Even in the enrichment professions, the actor who not only knows the lines but pays attention to the demands of the performance moment will respond with that spontaneous artistic choice that we recognize as brilliance . . .
By the way, I think we made the right call on my niece. She is doing well . . .
And so it was that I drove over to my son’s school and sat down in his Math class, looking forward to meeting his teacher, but expecting a fairly generic description of the goals for the term ahead. But Mr. M surprised us all and instead whipped out a Math word problem for us to solve. But instead of jumping straight to a calculation, he got us to ask two questions “What do I notice?” and “What do I wonder?” This is the approach he takes with the students because of a growing revelation in education that many students do not know how to effectively approach verbal problems. They leap to calculation before really understanding the problem. Asking what you notice and what you wonder first relieves you of the pressure to instantly be right and simply allows you to take in the information and process the problem in a non-linear way. If there is one feeling you have in medicine, it’s the pressure to be instantly right. Even now, while I’m on research leave, I felt I needed to be correct when asked what I thought of the results I had just assembled for one of my research projects. But interestingly, my research group leader used almost identical phrasing to Mr. M, the math teacher. She simply asked, when we were looking at the data tables, “What do you notice?” We are evaluating the literature to determine the effectiveness of a certain modality for treating nerve injury. I noticed that one muscle group seemed to improve much more than the others with this treatment. Why? (What do you wonder?) Could it really be that you can approach an 8th grade Math problem and a Neurosurgical research article with the same two questions? And if so, where else could those questions be used effectively to solve problems? 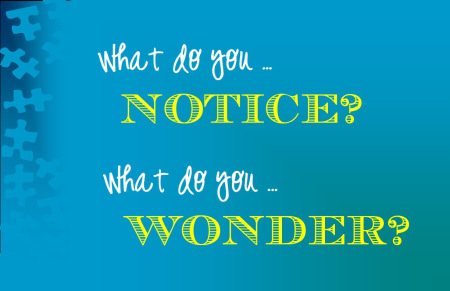 What if spouses took the time to notice and wonder about each other? On second thought, there is probably a lot of noticing and wondering that goes on already “I notice you’ve walked onto the carpet with dirty shoes” “I’m wondering which couch you’d like to sleep on” but what if these questions were asked from a place of renewed curiosity and possibility? We can get to the point where everything is about bottom lines and definitive answers. We stop noticing and worse, stop wondering. At that point, innovation is stymied, relationships stagnate and personal growth is stunted. I first broached this question on Twitter earlier this week. As it happened, I have a mischievous friend who responded with a few notice/wonder questions of his own. I will leave you with one of his cheeky creations . . .
What do I wonder? If this crocodile will let go soon . . . The line fell flat and I didn’t get why. Just the previous night, the same line with the same pace, inflection and volume got huge laughs from the audience but that night, nothing, except perhaps a polite chuckle. The only difference? I paused for an extra second to deliver the punchline and that killed it. The following night I used my original timing and the laughs were back. Could comedy be that clinical? Apparently so. And if timing proved to be important in my Acting, that only increased in medicine. If a patient has a heart attack or a stroke, the two expressions you will hear are “Time is (heart) muscle” or “Time is brain.” The same intervention delivered too late and the effect is lost. I still remember pounding on the chest of a 32 year old heroin addict brought into the Emergency Room in cardiac arrest after an overdose. Every chest compression was filled with the knowledge that time was slipping away and when our team could not revive him, time stood still as the time of death was called. A young life gone too soon. Could a phonecall have prevented this overdose? Could a visit have come sooner and found him in better shape? We’ll never know. the choice, judgment, or control of when something should be done. “Choice” “Judgment” and “Control” all imply deliberate action. Although we are not always in control of when certain things happen, we are in control of the timing of most things we do in our lives. But how conscious are we of that responsibility? Timing matters. Have you ever sent a text with either really good or bad news and had that one person who responds two days later saying all the right things, but somehow it doesn’t have the same effect? Timing. I’m reading a provocative book right now “A Path Appears” which lays the case for how to make a meaningful difference. In the current chapter, the authors describe how tough the conditions are in a certain Native American reservation where up to two thirds of the male population are alcoholics. The unemployment and drop-out rates are unbelievable. So where do you time your intervention? The authors argue that trying to address unemployment before you’ve dealt with the fact that many children are born with fetal alcohol syndrome affecting their cognitive abilities is bad timing. Intervention can work but must be timed correctly. As important as timing is, it is not adequately taught in school where the focus is on bodies of knowledge. But that knowledge is useless if not delivered in time to prevent a suicide or simply make a moment or day meaningful. With timing in mind, I have taken a new approach to weekend activities with my boys. I used to schedule things I did with them where it made sense in the day, usually after taking care of my business earlier in the day. Reasonable right? But there was room for other things to interfere with the plan or I would get tired and I would not always get to things I wanted to do with them. Now, I start with them. Today we did big waffle breakfast, chores, an hour of reading together, countries of Africa pop-quiz and swimming back to back. This change in timing makes a difference in two ways: I am more likely to spend more time with them and that’s always a win, but I also convey implicitly that my time with them is so important that I start my day with it before anything else. Even though I grew up in Kenya and made the drive often, there has always been something about the Great Rift Valley that inspires a sense of awe each time I see it. Perhaps, it is the sheer expanse of this structure that never ceases to inspire. Not too far beyond this impressive natural landscape, down a steep hill and a winding road whose potholes must be dodged with the lightning quick reflexes of a professional gamer lies AIC Kijabe Hospital. The last time I was in the town of Kijabe was for a camp as a teenager. 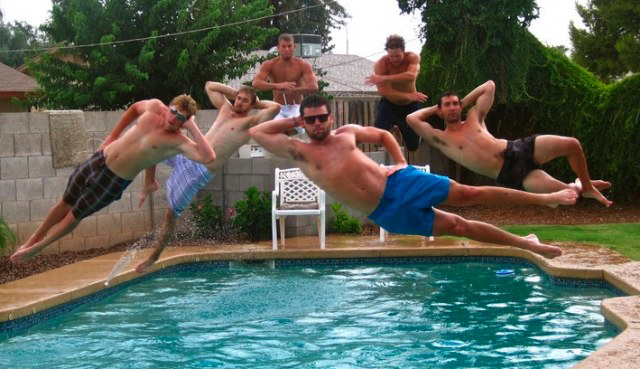 At that time, a few friends and I imitated the classic 90’s R&B group Boys II Men. I was the bass that would randomly start speaking in the middle of the song saying things like “Girl, you know we belong together” But where were we? Ah, yes . . . Kijabe Hospital. 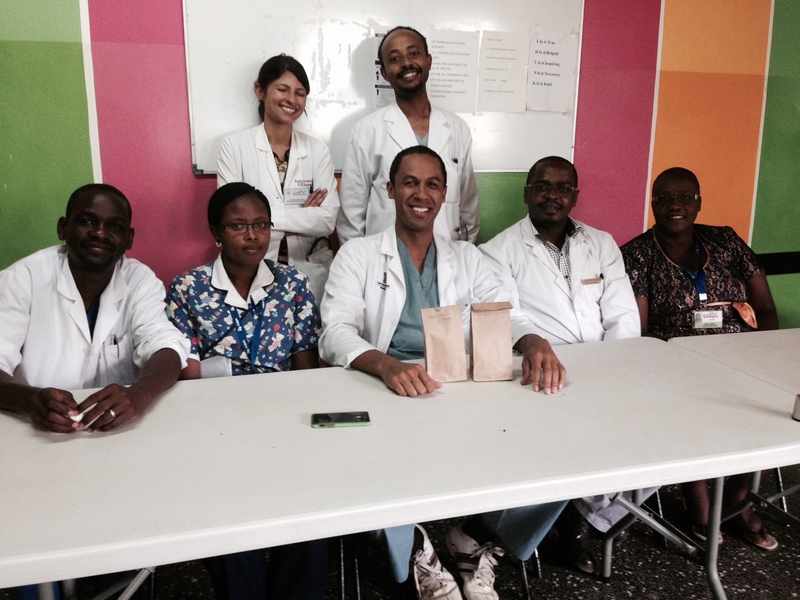 I had just arrived for a month long rotation with the Pediatric Neurosurgery Department and could not wait . . . I walked into the ward and was immediately struck by the fact that all the mothers and their children were in the same large room in contrast to the largely private rooms I had encountered in Pediatric Neurosurgery rotations in the States. My first thought was how difficult it must be to not have that privacy, but the longer I stayed in Kijabe I began to question that position. I think a moment that captured that reevaluation was when I walked into the ward one day and heard a mother singing to her child in full hearing of the room. What effect did that have on the other mothers? How much easier was it for these mothers to talk and support each other–without walls? Privacy makes a difference, of course, and a private room certainly brings certain conveniences but what do we sacrifice in community to obtain these conveniences? When does privacy become isolation? Kijabe’s Pediatric Neurosurgery ward primarily consists of children with one or both of two common conditions here: hydrocephalus or spina bifida. Both of these conditions can have devastating neurological consequences if not appropriately treated so the work being done by the neurosurgeons in Kijabe is important and life altering. I had the privilege of scrubbing in on multiple surgeries including shunt placement, ETV (Endoscopic Third Ventriculostomy), Chiari decompression and myelomeningocele repairs. I was impressed by the technological capabilities of the operating rooms in Kijabe. Unfortunately, a fair number of patients present late, largely for financial reasons, when damage has already been done, highlighting the need for certain systemic changes. In the process, I got to join an outstanding team. Our attending was Dr. Humphrey Okechi who has worked closely with Dr. Leland Albright of the University of Wisconsin, the Neurosurgeon who established the program in Kijabe. Also part of the team were an Ethiopian Fellow, Addis, (and by “Fellow” I am referring to his medical title, not a variation on “dude”! ), a visiting senior resident from USC, Eisha, and a Kenyan resident, Peter, from the University of Nairobi. A wonderful senior nurse, chaplain, social worker and other dedicated workers, also supported us. It is hard to capture the atmospherics of how welcoming it was in Kijabe but let me offer one example. Consider one simple gesture, the handshake. In America, you typically only shake someone’s hand the first time you meet him or her. But in working with this Kenya team, there would be handshakes all around every morning among the team. This simple point of contact provided acknowledgement and a sense of camaraderie that set the tone for the day. Aside from the OR, my other responsibility was to conduct research on the cost effectiveness of Neurosurgical care in Kijabe. This led to many insightful conversations with mothers of affected children. Aside from expected costs, there were some challenging cultural scenarios they raised, such as being disowned in some cases by husbands whose relatives felt the distorted features of hydrocephalus were an indictment of the mother. It was difficult to hear of the financial struggles faced by many mothers in obtaining neurosurgical care for their children and how far many had to travel to Kijabe, one of only two places in the country to get dedicated pediatric neurosurgical care. But this information also emboldened me further to produce this research as part of an effort to ultimately enhance local capabilities in Neurosurgery. Several seeds were sown on this trip. 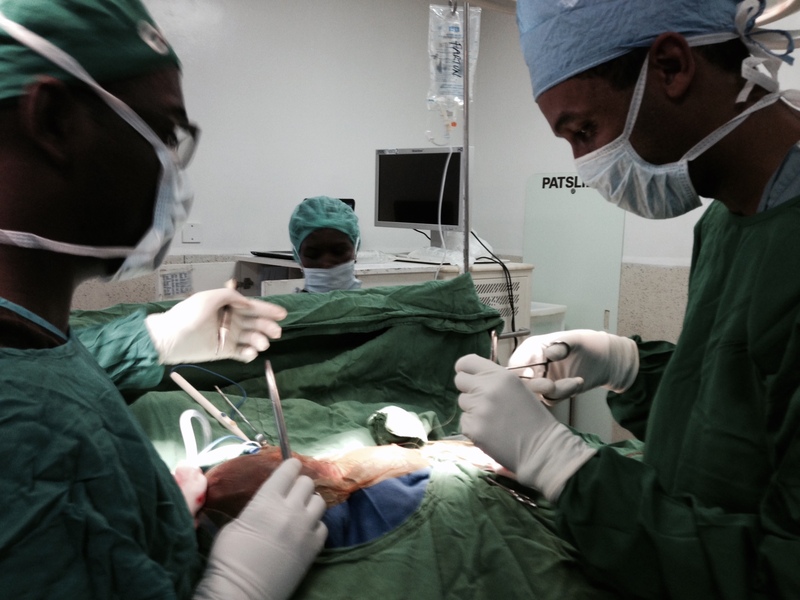 The first is the even stronger urge I have to contribute in Pediatric Neurosurgical care in Kijabe and beyond. The second is the need to disseminate the research that will help contribute to this effort. These two seeds will take time to grow. But the third seed can sprout today. It emerges from the ease with which I saw so many people in Kijabe able to experience the present moment despite challenges. And by that, I do not mean to suggest the patronizing sentiment that “those people just seemed so happy!” Many of the parents I spoke to did show signs of strain on their faces as they talked about their struggles taking care of sick children. But it was only in that moment, and their struggles were only part of their stories. Of course, faith was a key component as well; AIC Kijabe is a mission hospital. It all adds up to way of living that challenged me to bring some Kijabe back to the US. Giving people in your team handshakes everyday may seem a little weird here, but the idea behind it is surely worthwhile, the simple power of acknowledgment.